The date is marked on your calendar and you’re already working on your tan. The long hours you’ve put in at work have been totally worth it. Okay, so maybe you can’t get Madonna’s “La isla bonita” (The Beautiful Island) out of your head, but who cares? Vacation is near! You’ve been dreaming about the warm sand, crashing waves, sunny skies and even the sand castles. What could be better? 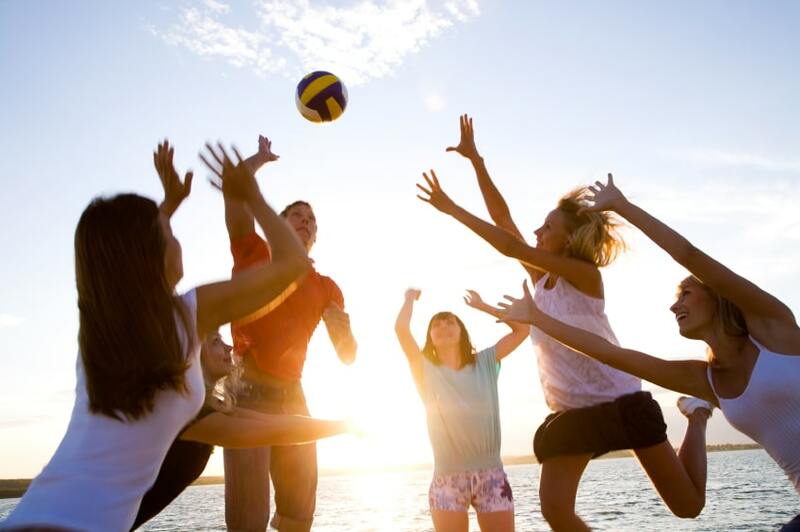 It’s the perfect summertime activity. If you’re lucky enough to be visiting a beach in a Spanish-speaking country soon (or just yearning for summer), make your trip even better by adding some beach-related words to your travel vocabulary. One of the best ways to improve your vocabulary is by using new words frequently. Pick a favorite flashcard app specifically designed for Spanish language learning, or try to use the words on a daily basis by keeping some sort of journal or talking to yourself (but maybe not at work). You might also consider getting a Spanish penpal who you could write to before, during and after your trip. If you’d like to hear some of these words in context, the BBC offers great resources for Spanish learners. Games can be a great way to sharpen and practice your vocabulary. They provide a change in pace from the usual flashcards routine, and the fun and excitement of a competitive game may help stimulate the language-learning process. I spy — In Spain, this classic game is called Veo, Veo (I see, I see). The rules are simple enough: choose something that you see on the beach and have your partner (or group) ask questions about it—in Spanish, of course! The questions must be answered with yes or no, and the players keep asking until they guess your object. Same letter — This is a great game to practice vocabulary! Give a vocabulary word for something you see on the beach. Whatever letter your word ends with, the next person will have to say a word that starts with that letter. For example, if you say playa (beach), the next person could say algas (algae), then the next person could say sol (sun) and so on. What’s in my beach bag? — This is a memory game that gets tougher and tougher as you play it. The first player says En mi bolsa de playa hay un/una… (In my beach bag there is a…) with a vocabulary word after it. Each successive player has to add something to the beach bag, and also remember all the previous words that have been said. When someone forgets, everyone starts over. See how long you can go without forgetting. Pictionary — This is a great game to play when you’re tired of snorkeling and swimming and just feel like relaxing on your towel. It’s simple enough—draw a picture of a beach vocabulary word until your partner guesses it, communicating in Spanish only. For a greater challenge, use a combination of adjectives, verbs and nouns. 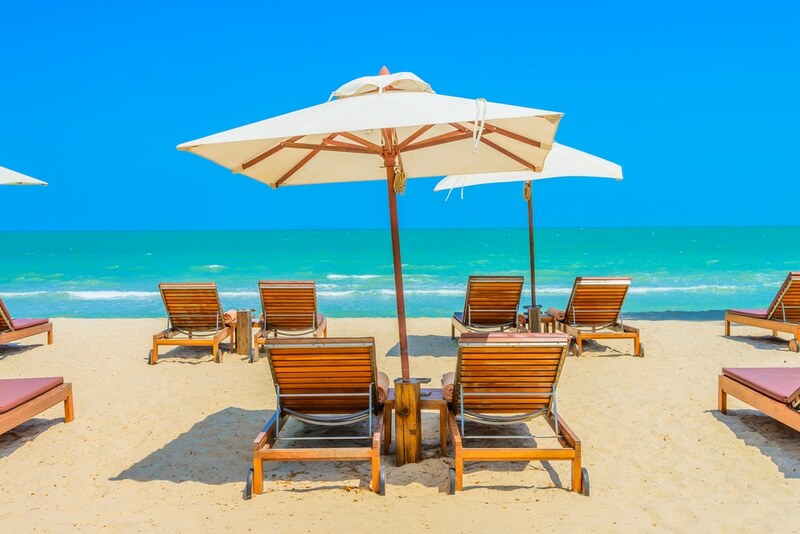 In this article, you’ll find 37 essential Spanish words for your next trip to the beach. In some cases, we’ve provided two commonly used Spanish words for one English term. If you’re unsure how to pronounce one of the words you see below, Forvo is a highly useful, crowd-sourced pronunciation guide and a great tool for language learners. These words will help you talk about beach day essentials. What’s in your beach bag? Chanclas refer specifically to flip-flop type sandals. For other types of sandals, use the more generic term las sandalias. Note that a sombrilla refers specifically to an umbrella for sunny weather. An umbrella to use in the rain is called paraguas. You can also shorten this word and just say tabla. There’s no hard-and-fast rule for choosing between balón and pelota, but I’ve found that a balón is more likely to refer to a larger, inflatable ball (think: beach ball, basketball) and a pelota to a smaller ball (like a baseball). However, this usage varies by country. Either way, your meaning will be understood. Pro tip for beginning language learners: when you come across these tricky Spanish word pairs, the forums over at WordReference can be a great resource. In these forums, people frequently ask native speakers to clarify how words are really used. Chances are, somebody has asked your question before! Once you get to the beach, what might you see? Use this list to describe your surroundings. Simply change the pronoun to indicate if you’re talking about a male (el) or female (la) lifeguard. Otherwise, the word stays the same. The word also refers to a life jacket. Mar is a rare Spanish word that can take either a feminine or masculine article. El mar is the more common form and la mar has a more poetic or metaphorical connotation. When in doubt, defer to el mar, but la mar is grammatically correct also! High tide is la marea alta and low tide is la marea baja. El pez (plural: los peces) is the word to describe a fish. Spanish has a separate word to talk about fish as a food or meal: el pescado. 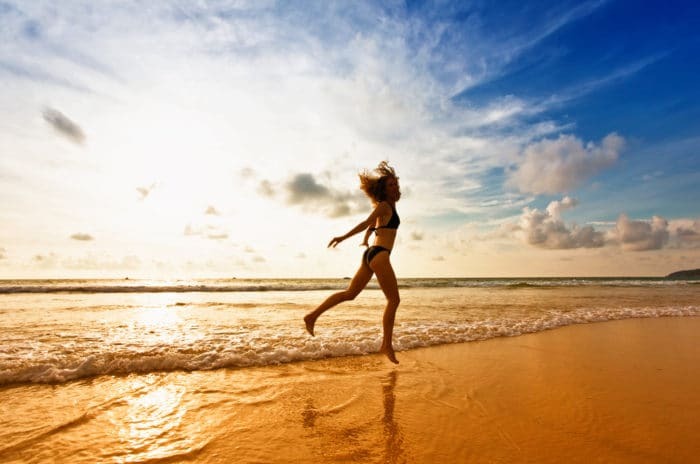 What are you going to do once you get to the beach? These new verbs are a great way to practice conjugation and verb tenses. While tomar el sol refers to the action of sunbathing, broncearse refers to the processes of getting more tan and it’s reflexive. Nadar generally refers to the actual act of swimming. To talk about simply wading or being in the water, use the reflexive verb bañarse (literally translated: to bathe oneself). You can also use the verb surfear, but hacer surf works just as well and allows you to practice the highly useful irregular verb hacer. So these 37 terms might not be what you need to order your favorite food or drink after your day at the shore, but they’ll guarantee that you have what you need for some beach time fun! 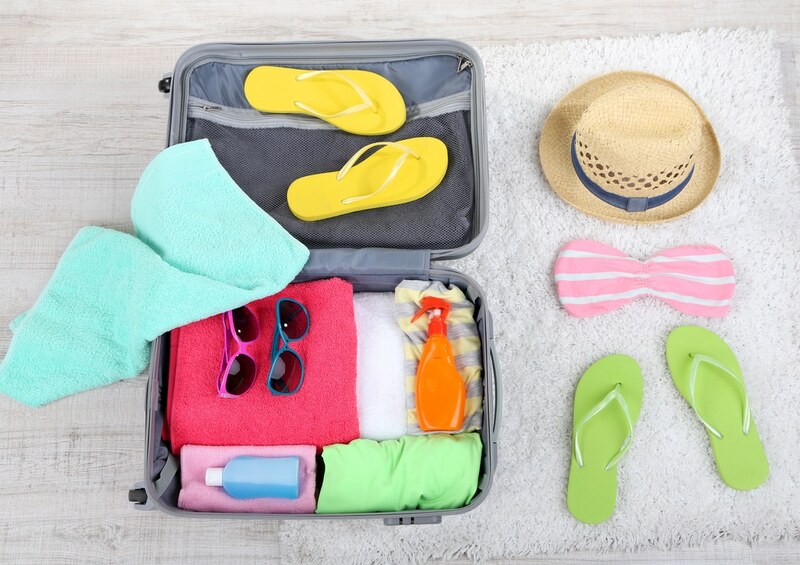 Be sure to pack them for your next vacation and, in the meantime, practice them frequently to make sure they’re at the front of your mind. So, what are you waiting for? See you at la playa! See you at Perfect Sunset School! 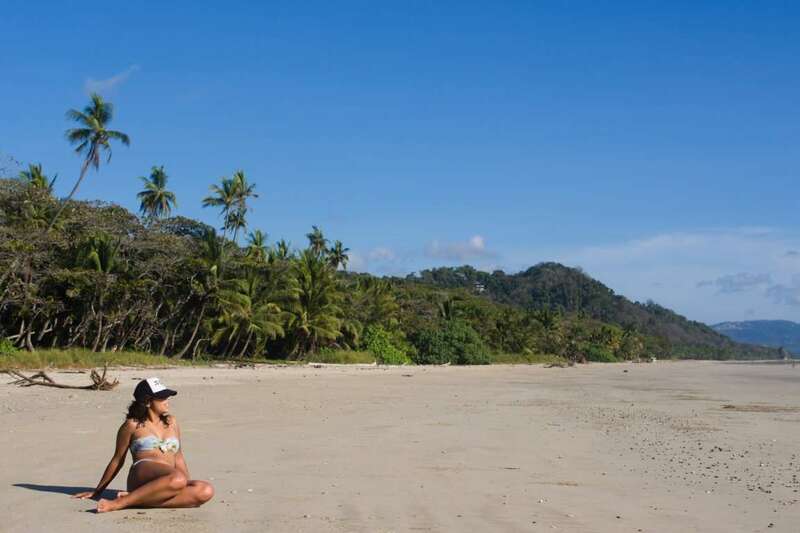 Surfing - Have you considered coming for a Costa Rica surf camp?